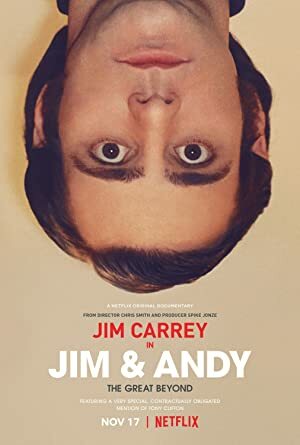 Jim & Andy: The Great Beyond (2017) – What's New on Netflix Canada Today! (The Story of Jim Carrey & Andy Kaufman Featuring a Very Special, Contractually Obligated Mention of Tony Clifton) A behind-the-scenes look at how Jim Carrey adopted the persona of idiosyncratic comedian Andy Kaufman on the set of Man on the Moon (1999). Through footage from the set of “Man on the Moon” and a present-day interview, Jim Carrey ruminates on life, identity and becoming Andy Kaufman.